I am a MCA student and a programmer (Java and C family). I am a newbie for arduino, and want to learn and use all of this techniques. I am researching and developing on a new AI program for automation of everyday life, and i know Arduino is best for this purpose. as finally it's in India, now i can go out of my PC and test all of this in real world. Hi! guys I'm Ufoguy. I love arduino as a hobby. I haven't made anything unique with it yet. I may in the future. Share and Grow . . :) . .
Good to See A Great Indian Support Here. 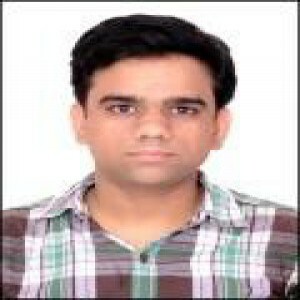 Myself Mandeesh Singh, I'm a Freelance Embedded Systems Developer and Trainer Based in New Delhi. Finally I moved on to Arduino after 8051 and PIC. We as a team work on Developing Embedded Systems Products / Projects and Provide Industrial Embedded Solutions based on 8051 / AVR / PIC / ARM7. And I'm really astounded to see and experience the capabilities of Arduino and will definitely use and share it with all. Share and Grow . . I'm a student of B.Tech 1st year i've started Arduino few months back now i'm learning it i've started my projects and my project is on interfacing ps2 keyboard with arduino can any one help me? means how to connect it? Amresh Singh, an Open Source enthusiast. Trying to build stuff that can interface with Android. Was wondering if we can have a meeting somewhere in bangalore just to see how the community is shaping up. We have used Arduino for many Industrial projects due to shorter development cycle and custom libraries. Arduino is simple for beginners but it carries all the power for complex application. In a recent application, using precision external voltage reference and putting processor to sleep during ADC, we were able to achieve very stable measurements. We have used them in numerous applications running 24x7 and yet to see a single faulty unit back. DiY enthusiast, located in Mumbai. I'm part of a group called Wyolum (www.wyolum.com) and we build a lot of open source hardware projects based on the Arduino. Hi everyone out there XD, this is Sumant from Pimpri, Pune. I am currently pursuing my engineering in Instrumentation. Hi guys. This is Shankar from chennai. I am a 12th grade student. I am a wannabe geek and computer hardware and electronics enthusiasist. Initially I took, interest on micrcontrollers after reading a article about it in a magazine. So I first started meddling with a pic 16f84. But it was too difficult to program and experiment with, for a beginner like me. Then I heard of arduino, bought it and was delighted to see how easy it was to operate, code and learn. Arduino simply rocks to hell! I am Debashish Mohapatra.My profession is Lectureship in an B-Tech Enginering College.Most of the time I am given the charge of Major and Minor Project for the final Year Students.I always prefer Arduino , may it be the Readymade board or a standalone Custom made bare bone one.I love the programming languag's ease of use for my projects on instrumentation, data acquisition etc. Harshad Italiya From Surat, Gujarat.